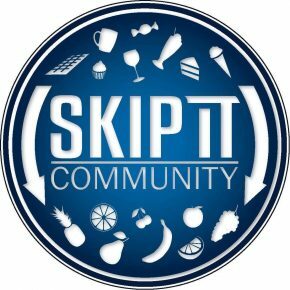 I had the pleasure to collaborate with Skip It Community and I would like to share my top tips for a healthy lifestyle. 2. 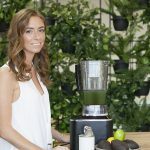 Eliminates the added sugar in your diet. 3. Avoid eating processed products. 4. Monitors the sodium (salt), retains liquid. 5. Drink lots of water, on all out of your meals 2L. 6. Make use of infusions such as dandelion, green tea, red tea, cola de caballo etc 2 to 3 times a day. 7. Eat vegetables, especially the green tend to eliminate more fluid: asparagus, broccoli, zucchini, artichokes, etc. 8. Fruit throughout the morning 1 to 2 pieces. Avoid them in the afternoon/night. 9. Alcohol prohibited the best options if social costs you not to drink: wine and beer (only one day a week, no more than two drinks or jars). 10. The sport is fundamental, but as you know if you do sport and not a good diet there will be no result. Do Weights, Cardio and Abdominals, 2.3 times a week (with weight and without weight). 11. All of the above: Keep It in the time ⏰ Minimum 2 months, only there you will see a result.